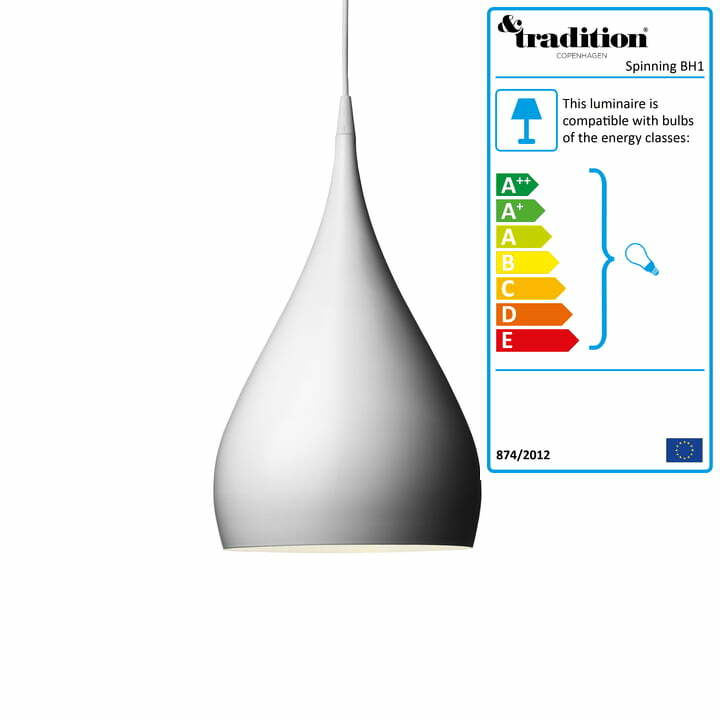 The spinning top is not only a popular children’s toy, but also served the designer Benjamin Hubert as inspiration for the pendant lamp Spinning Light BH1. The idea of the spinning top in combination with the manufacturing process of the metal turner sparked the designer’s idea for the BH1, in which shape and function form an innovative fusion. The designer implemented the idea of rotating consistently: The cable leads into the lamp’s body at the upper end of the pendant lamp at the most narrow point. The body now expands to the bottom just like when turning and releases light from the inside at its widest part. 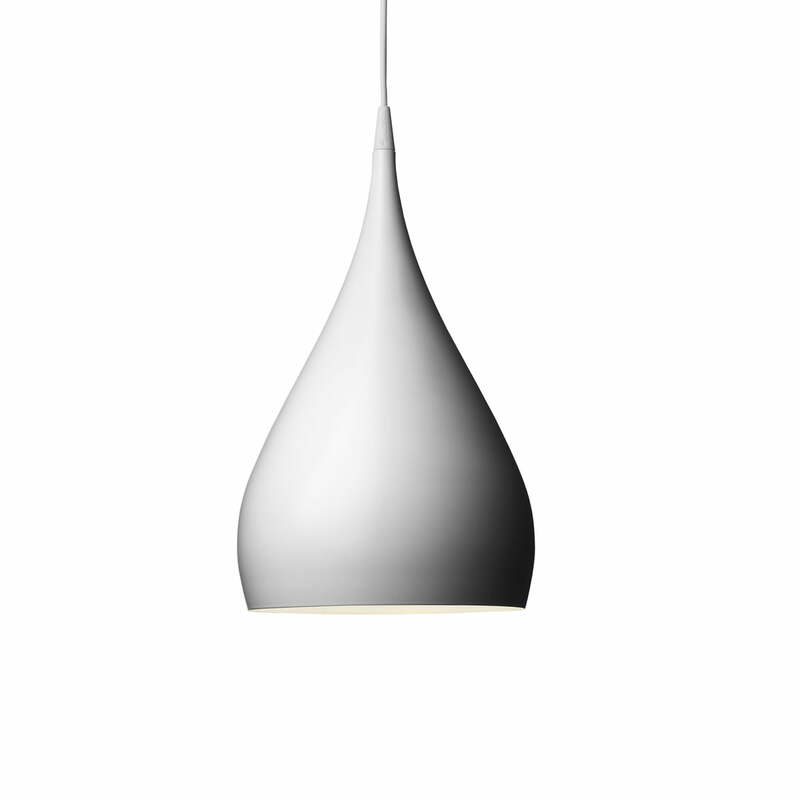 With its flat and graceful shape, the pendant lamp Spinning Light BH1 is part of the collection of high-quality items in the Nordic tradition, which the company &Tradition stands for. 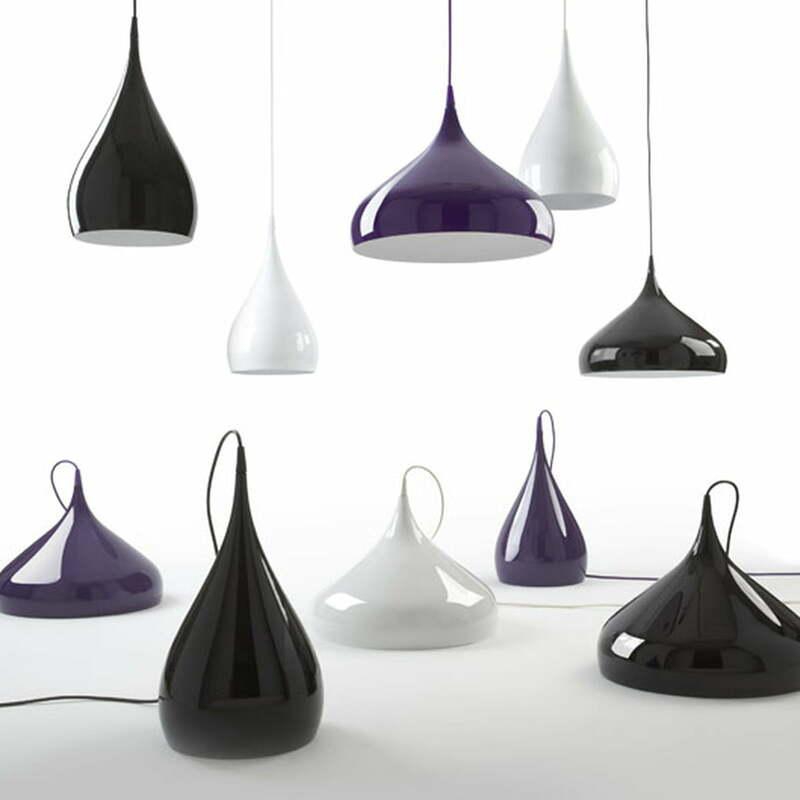 The pendant lamp Spinning Light BH1 by &Tradition is also available in the colours purple and black.